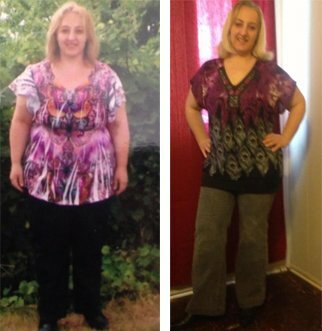 Jenn went from sz 14/16 to sz 3/4! Kimmie lost 35 lbs. in 6 weeks! Anna – from sz 22 to 14W & still losing! Over the last 12 years of our marriage, we’ve tried just about every possible way to lose weight – the ZoneDiet, Atkins, South Beach, Master Cleanse and a whole host of others. And while some were more successful than others, they were all difficult to do (requiring either spending twice our normal grocery budget on exotic foods or keeping up with a workout routine that was unsustainable when you have 2 children and jobs) and each time we went back to our “normal” life we gained the weight back. We’re not unhealthy people; we go for walks and actively play with our children, we stay away from fast food and sweets, but each time we lost weight, our bodies seemed to burn less energy than before we started. It was a vicious cycle of working hard to lose weight, then gaining it right back while seemingly making healthy choices. Then we heard about ASAP – we were willing to try anything and were motivated with summer around the corner and the desire to spend time at the pool without being embarrassed by our weight. 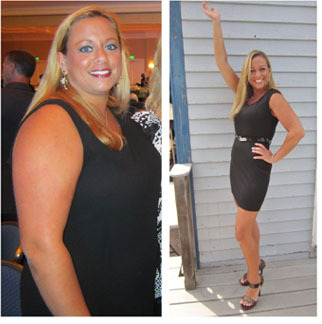 When we started the program, my BMI was 26.6 and my husband’s was 29.5 – both considered “overweight” with my husband dangerously close to “obese.” We found the program to be exceptionally easy – the meals were simple to prepare, even with our “on the go” life. A piece of fruit, some chicken, vegetable and breadstick – it’s so fool proof! It was just a matter of days before the weight was dropping off. 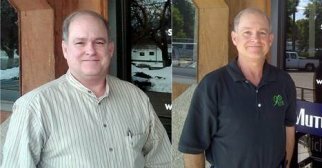 I lost 24 pounds, and my husband lost 38! 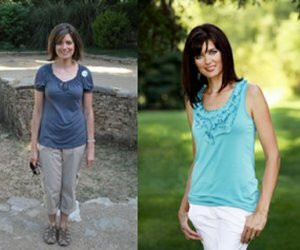 My BMI dropped to 23.1 and my husband’s to 24.5 – we are now both considered to be at a “healthy” weight for our respective heights. My husband’s waist went from a 38 to 34, and he’s now able to wear pants he hasn’t worn since our wedding 12 years ago! I’ve dropped from a dress size14 to a 10 and have opened up a whole new part of my wardrobe that hadn’t been worn in years. But all of that is external – what’s truly amazing are the actual health benefits. 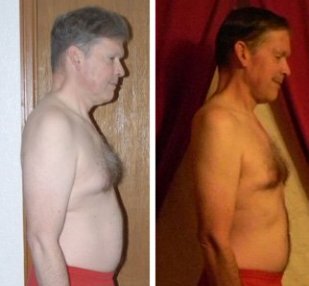 My husband had been on medication for high blood pressure for over two years. 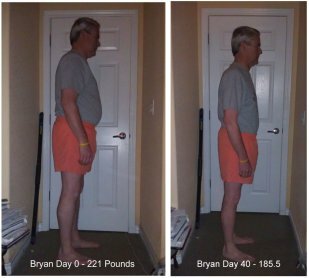 At his last exam, just a week after we finished the 40-day program, his blood pressure was taken 3 different times because the readings were so low, they thought there must have been a mistake. My husband’s blood pressure levels are now in a healthy range and he was instructed to stop taking the medication. We have now been off the program for over a month and continue to feel great! We’ve had countless friends remark about our transformation. This is simply the best plan we’ve ever taken advantage of! 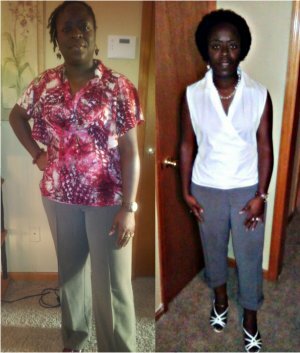 Lauretha lost 25 lbs. & 44 in. 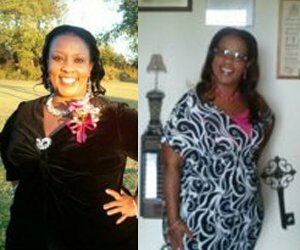 Arnescia 43 lbs lighter in six weeks!!! I started ASAP and after 3 weeks I had lost 27 lbs! (I didn’t do my measurements at this time). That was absolutely amazing! I’ve tried many things but never have I tried anything like this before. I feel great and look great. My husband saw my results and decided that he wanted to try it. I was so excited that he made a decision to better his health so I did another three weeks to support him. Not to my surprise, I lost another 16 lbs and 19 inches, which gave me a total of 43 lbs gone in only six weeks!!! After sharing my pictures with my friends and family, business shot through the roof. Just by sharing my ASAP testimony alone has allowed me to reach SEMD! Arnescia M.
Over 50 lbs. lighter in 4 months! At 61 years old, my proportions are shaping up to the body I had when I was 20! I lost 57 lbs. in 12 weeks with the Healthy Start Weight Loss Pak! My skin tone is unbelievable for a woman my age losing weight this fast! — Sharon Z. 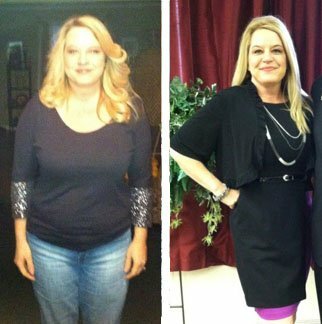 Kit has lost 73 lbs.! We learned about ASAP at a convention, and I was in tears thinking there might actually be something this easy to do that actually works. I picked up a bottle while at the convention. I lost 9.5 lbs. in the first nine days! After doing 2 rounds of the six-week ASAP program, I am now down 73 lbs. and over 120 inches! 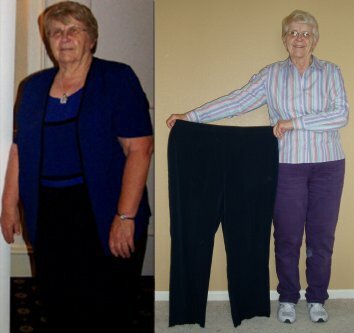 — Kit G.
Katharine has lost 102.2 lbs.! Continued at the bottom of the page. My busy pilot schedule doesn’t allow me to exercise enough. My weight got to 204 lbs. In 28 days with ASAP, I’m at 180. I lost 24 lbs. in less than a month! I started the ASAP Program on November 26, 2009. 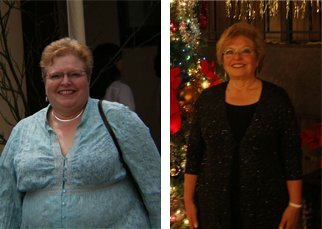 I was 71, had tried everything to lose weight, but it was getting critical this time. I could not even walk up four stairs at McDonalds without pulling myself up by the handrail. I had to sit on the front row at my Grandson’s wrestling matches because I couldn’t climb the bleachers. At 5’2″ and weighing 222.2 lbs. I felt pressure on my knees and hips every day. I have lost a total of 81.2# and I went from a size 2-3X to a 8-10. I no longer feel pressure on my knees or hips. I lost 6″ off of each knee. I play pickleball 2 days a week and table tennis 3 days a week. My life has totally changed. I look good and I feel good. I am so proud of myself for sticking to this. I have learned portion control and how to select healthy snacks. I have my life back. Phil lost 21 lbs. in 23 days! 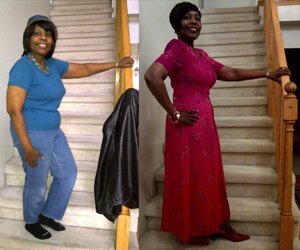 I decided to try ASAP after I saw several of my Youngevity friends drop 20, 30, 40, 50 or more pounds. I bought a bottle, purged my shower, gym bag and such of everything with oils in it, and figured out what my menu items would be. I’m gluten free so I made my own breadsticks, other than that, I followed the menu exactly. I started at 223lbs. in April, 2012. I followed the menu: 2 proteins, 2 vegetables, 2 fruits and 2 breads per day. I am a big tea drinker, so I continued what I usually drank, plus added in several bottles of water. I usually ate a salad at lunch and made my own dressing from cider vinegar, Stevia, and ginger. Most often, for dinner I had a chicken breast or a 93% hamburger patty. I was going to the gym several times a week, but found my legs getting rubbery, so consulted the ASAP experts and they suggested that I stop working out while on the drops. Another adjustment I did was to eat one of my fruits in the morning as I was feeling a little lightheaded. Those two adjustments made a big difference! After 23 days on ASAP, my weight was 202 lbs—a loss of 21 lbs! 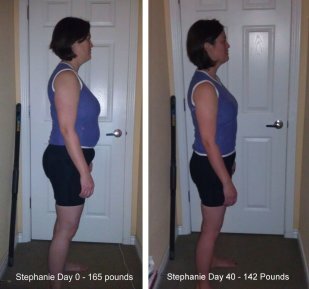 For me, this was a big deal, as I had found that after I turned 40 my weight my weight slowly crept up a pound or two each year. At age 57 I was nearing 225, and had been trying to get down to 200 for over 15 years! And now, I’ve easily maintained this weight and have even dropped more. Through a combination of Hepol, Pollen Burst, Polbax, and watching what I ate, I am down another 11 pounds. Now I weigh 192—the weight I was in college over 35 years ago! I remember buying a pair of 33” x 36” slacks when I was in college, and the salesman told me it wouldn’t last, and he was right. Before ASAP, I could squeeze into a 36” waist, but it wasn’t comfortable. Now I’ve also had my shirts tailored and have had up to 8” taken out of the waist. A year ago I wouldn’t have believed it. Now I do. 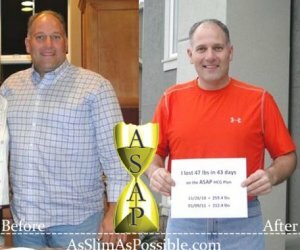 ASAP worked for me and it can work for you, too! At 38 I had never been on a diet. With each of my three pregnancies, I gained about 50 lbs., and then lost most of it by healthful food choices, exercise, and breastfeeding. But I had a stubborn 11 lbs. that would not disappear, no matter how many crunches I did, or miles I jogged. Usually, I sucked in my stomach and was self-conscious of many body parts-especially the “muffin-top” roll that protruded over the waistline of my pants. Would I need to resort to liposuction or a tummy tuck to get my body back? I grew up in a family that always ate healthy foods. We did not eat fried foods, chips, “junk foods” or very many desserts. My mother was an actress and model, so appearance was always important. Even as a child, I was the biggest girl in most of the classes or groups in which I participated. Starting with ballet class in 2nd grade, I remember some of the parents pointing to me and talking about my size. When I was 8, the doll Chatty Cathy was popular. In 3rd grade a boy in front of me turned around and said that for Christmas he “asked his mommy for a doll just like me, a Fatty Kathy”. At the age of 9, our family doctor put me on a diet, where foods had to be measured and tracked daily. That was the start of food journaling. I was called by the nickname “Chub” frequently and I’ve had food taken out of my hand, and told I didn’t need anything to eat as I could “live off the fat of the land for at least 3 weeks”. My grandmother told me that she didn’t understand why someone would allow themselves to carry an ounce of excess weight and put extra stress on their body. She said it was easy to be slender if you watch what you eat. A person close to me was bulimic in high school and said the reason was that she never wanted to look like me. In 10th grade, my best friend since nursery school was told that we weren’t allowed to be friends anymore. Her father, a doctor, said that because I was fat, she was heavier than she should be. This continued in college, as well, when I overheard my roommate commenting about how fat I was and that she was embarrassed to be seen with me at times. When I was a bridesmaid in a friends wedding, the person I was assigned to walk down the aisle with had a disability and used 2 crutches to walk. That didn’t bother me at all, yet his comment was “great, I get the fat chick”. I was diagnosed with gestational diabetes with both pregnancies and had a blood sugar level of 385 (under 120 is the goal) when I was diagnosed as diabetic in 1992. I started several medications in 1995, adding insulin in April 2007. I was told that I would never get off insulin or my medications. I was constantly told by doctors to lose weight. In 2008 I went to Weight Watchers. I was also doing 2 hours of water aerobics 7 days a week to enhance my weight loss. Only 25 pounds came off and I was continually frustrated when I weighed in. I was journaling everything. Thankfully, a leader pulled me to the side and confided in me that she had never told anybody this before. Her opinion was that my metabolism wasn’t working correctly and if she were me, she wouldn’t come back until somebody figured it out. This was such a gift. This validated that I was eating correctly, my body was failing me. 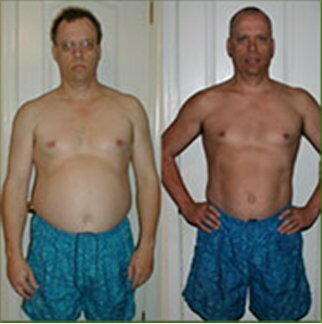 I had been encouraged to look at lap band and gastric bypass as a solution. I’d already had many surgeries and didn’t want any more. I prayed that there would be a solution that was non-invasive and would work for me. In October 2011, I took a flight and needed a seatbelt extension. I had occasionally needed one before, dependent on the type of plane. I discreetly motioned to the attendant that I needed one. She walked to the front of the plane, got on the speaker, and told an attendant in the back of the plane “we need a seatbelt extender for the blonde in 9C”. I was horrified. The people around me apologized for the attendants’ behavior. December 28th, 2011 was hopefully the final insult with bullying. I was walking into a restaurant to pick-up dinner for my son who was working. It was cold and I was hurting, so I was walking with a limp. 3 teenage boys driving by stopped the car. A boy in the backseat rolled down the window and yelled loudly into the parking lot “weeble wobble, weeble wobble, roly poly don’t fall down…oh wait, you’re so fat, you’ll weeble wobble right back up.” This brought me to tears. I heard about ASAP and saw a friend’s results in November 2011. I immediately decided that I would start in January. I knew that 2012 was my year of transformation. Since January 1, 2012, I have done 3 6-week rounds and 1 3-week round of ASAP. 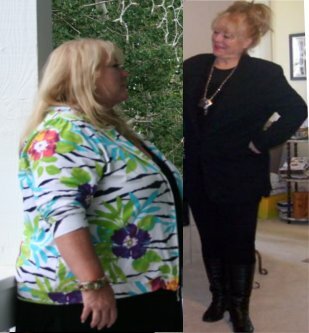 I have removed 102.2 pounds and 120.5 inches head to toe. In just 2 weeks on ASAP, I stopped taking insulin and I have been off all 8 medications since the 3rd week in June. 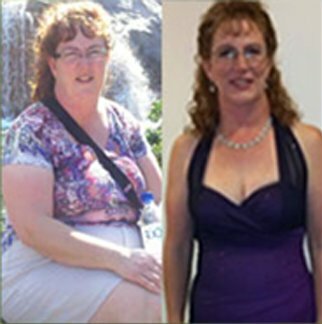 This is due to ASAP and amazing Youngevity products. Although I have always been a positive person, I have a new attitude and confidence. In mid-October, my husband and I went to an event with friends. He walked up behind me, tapped me on the shoulder and when I turned my head, he said “I wasn’t sure it was you, you look so different from the back”. This was one of the best compliments I could have received. I still have more to lose and I expect to achieve the “perfect weight for my body” in 2013 and sustain that weight the rest of my life. I don’t yet know what that weight is. I know that I weigh less than when I turned 21. I am so very excited about and thankful for this FINAL WEIGHT REMOVAL process and how easy it has been for me. NOTHING can take me off track. Thank you ASAP and Youngevity!